Besides being amazing on the barbeque, Brock and his smoker also get along very well. 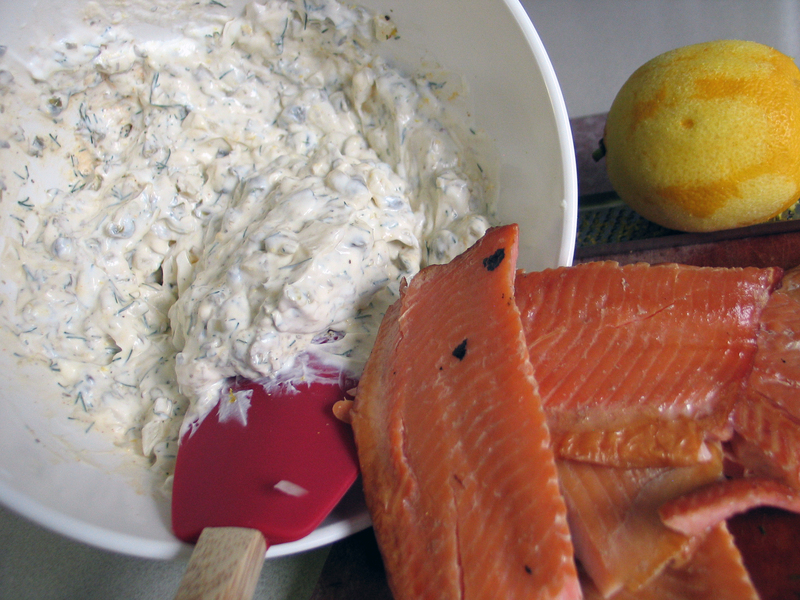 Smoked trout is one of my favorites, so when I saw this dip in Carla Hall’s book, ‘Cooking with Love’, we had to make it happen – enjoy! If your trout and onion are already prepared, then combine everything into a medium bowl and mix well. Try to make this at least a couple of hours ahead so that it has time to chill, but making it the day before so that it sits overnight is best. 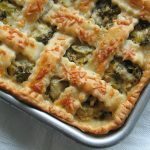 Serve on baguette or crackers – I also think it would make a great vegetable dip! Combine the brine ingredients and stir until dissolved (you may need to heat it all up in a large saucepan to dissolve everything – and then bring back to room temperature). Brine the trout in the fridge by putting fillets and brine in a large Ziploc (place in a glass pan in case of leakage) – for 2 to 3 hours. Once brined, rinse the fish well, pat it dry with paper towels and discard the brine. Lay the trout on (baking) racks at room temperature for about 1 hour (or overnight in fridge) until pellicle (like a salty skin) has formed. Prepare smoker with Alder, Hickory, or fruit wood and smoke trout at 160 for one hour and increase heat to 220 for approximately 30-45 minutes.